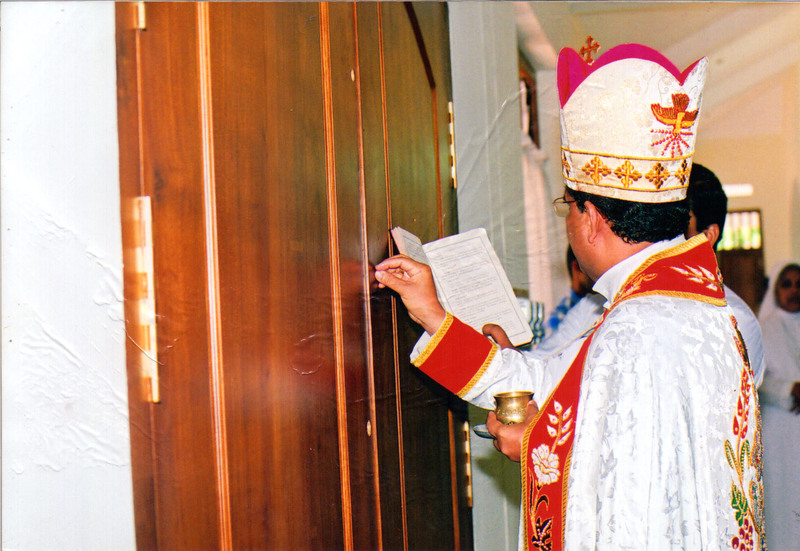 Imbibing the spirit of the document new Exarchates were assigned to the Syro-Malabar Church in the North Indian missions. 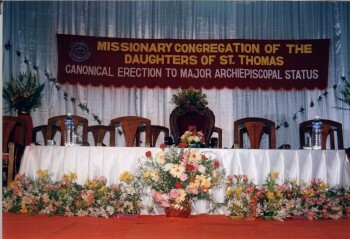 As an outcome of the erection of the new Exarchates there arose a need for more personnel to work in these newly erected territories especially since the foreign missionaries had to leave India according to the regulations put forward. The Diocese of Pala rich for its missionary vocations contributed her own share in this context. Bishop Mar Sebastian Vayalil who is known as the “Bishop of vocations” was taking very active steps in sending zealous youth from his diocese to the North Indian congregations. In this particular situation of the Mother Church God intervened and he selected a very pious young priest of the diocese Fr.Jacob Thazhathel as an instrument in his hands. For long he was keeping in his mind an earnest desire to found a congregation for women who are so desirous but due to adverse situations are not able to fulfill their desire to embrace the religious life. He always kept a corner of his heart soft and sensitive towards the poor, the suffering and the needy. He expressed the promptings in his mind to form a congregation for women as an answer to the challenges of the signs of the times to His Excellency Mar Sebastian Vayalil. His response to the request of Fr. 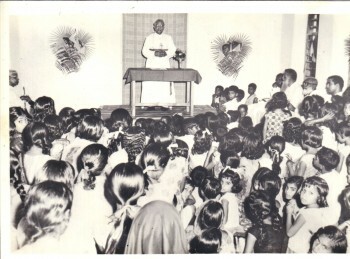 Jacob Thazhathel was quick and positive because it was in conformation to the inner desire he was having in his mind for long to start a missionary congregation for women in line with St. Thomas Missionary Society for Priests that he founded in Ampara in the year 1968. Thus DST is founded to direct the indigenous vocations to the mission fields. Thus DST started with 31 candidates in the first batch. For the training to be suiting to the future apostolate in the missions Srs. Nira, Daya and Madhura of the Sisters of Notredame Patna were invited. The prime object of the formation program was to impart genuine missionary zeal in the candidates so that they may turn out to be zealous missionaries who are even ready to sacrifice their lives for the cause of Jesus following the footprints of St. Thomas the Apostle. Thus the purpose of the congregation is Mission, Ad gentes, in India and outside. DST is to live her charism after the manner of St. Thomas who having experienced the eternal love of God in the person of Jesus, shared that personal experience with our Mother Church. Remaining faithful to the apostolic heritage of our Mother Church DST takes up missionary apostolate among peoples and groups in which the Church has not taken root. Emphasis is given to the ecclesial, liturgical, spiritual and cultural heritage. On July 03, 1971 twenty six novices made their first commitment before the Lord and received religious habit. The vestition of the second and third batches were in 1973. After four years of selfless services the Adoration and Notredame sisters left to their own congregation. The members of DST became competent to manage by themselves by that time and they took charge of the various offices. Sr. Annice Kannamundayil was appointed as the first Superior General by the Bishop of Pala. Sr. Cicil Catherine Kollamparampil was appointed the Novice Mistress and Sr. Teena Koonthanam the Postulant Mistress. On June 22, 1981 thirty eight sisters made their final profession in the first batch. The members are engaged in various apostolates such as pastoral work, teaching, caring of the sick, social apostolate, catechesis, mass media, orphanage, caring of the aged, training of the mentally retarded, jail ministry etc. While being engaged in these apostolates each sister keeps the inner spark in her mind to work for the extension of the kingdom of God glowing. 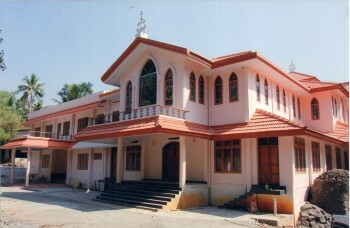 The second house of the congregation was opened at Kalathukadav on July 03, 1970 and it was the formation house of the second batch of candidates. Later the formation house was shifted to Bharananganam. On July 03, 1972 the revised and elaborated rule of life got approved by Bishop Mar Sebastian Vayalil. 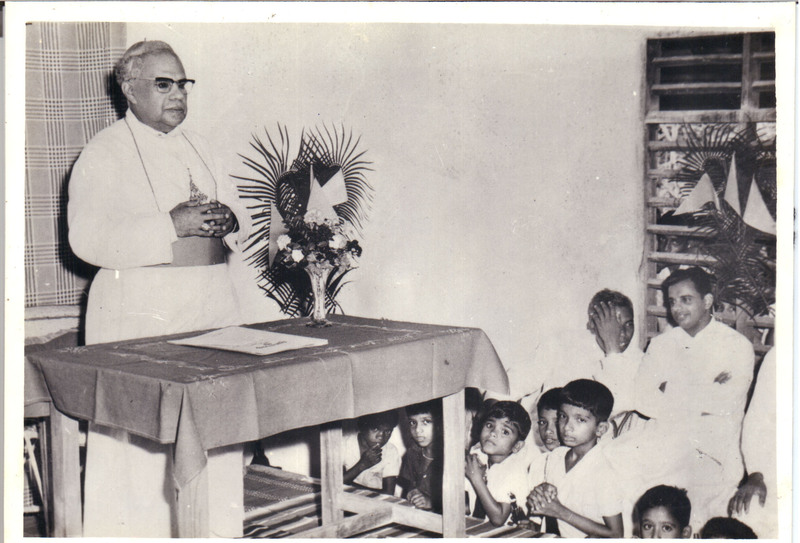 The branch of DST was extended to another diocese than Pala in October 1973 and it was in Palampra Kanjirapally where the sisters run an orphanage and a nursery school. DST started her apostolate at Olipara in the diocese of Palakkad in 1976 and started lower and upper primary schools. Later on houses were opened at Idukki in 1991, Thalassery in 1992, Thamarassery in 1996, Kothamangalam in 1998 and Ernakulam in 2003. On July 14, 1974 ten junior sisters immediately after their first profession started to Ujjain the first mission of DST with Sr. Reena Mookkanthottam as the in-charge accompanied by Rev. Fr. Abraham Ettakkakunnel. This marked the strategic fulfillment of the aim and purpose of the first missionary congregation for women of the mother Church. After one year mission orientation in Kottra they started their apostolate in the first house in the missions, Piploda in February 1975. It was blessed and inaugurated by His Excellency Mar John Perumattam. The sisters run a dispensary and a village school with pre-boarding. In June 1975 a second house was also opened in Narsinghgarh where the sisters run an English medium School in addition to village visit, prayer groups etc. The second diocese in the missions is Tura and in 1975 a house was opened at Resubelpara. The sisters work for the Lord through school, boarding, village programs, such as touring etc. 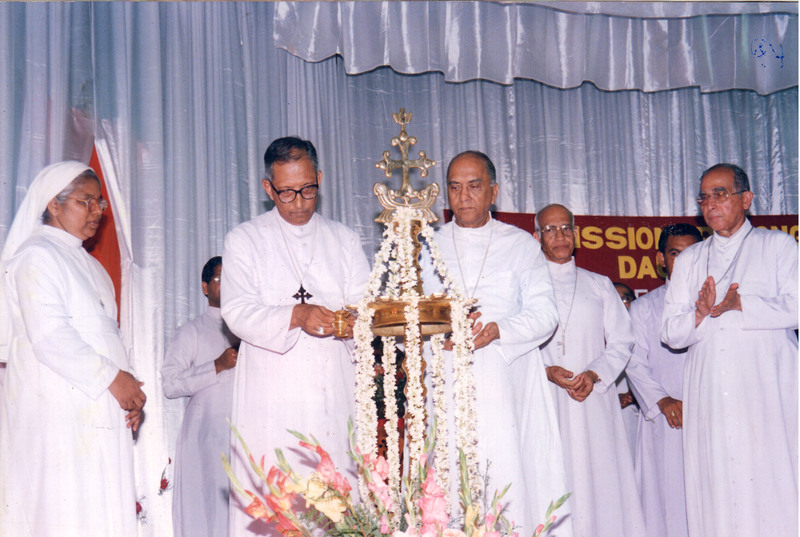 Satna is the third diocese of DST in the missions and it was in June 1982that the first house was opened in Maihar. A school with local language as the medium of instruction is run there in addition to the pastoral activities. DST extended her missionary apostolate to Kalyan diocese in 1993, Chanda in 1995, Bijnor in 1998, Gauhati & Sagar in 2006, Bangalore in 2007 and Delhi in 2010. Branches are opened at abroad in Germany in 1990. Being engaged in health work, old age homes etc. the sisters proclaim the word of God. A house was opened in Italy in 2009, the sisters being engaged in pastoral care, catechetical work etc. Another house was opened in U.S.A. in 2010, the apostolate being health work and evangelisation. 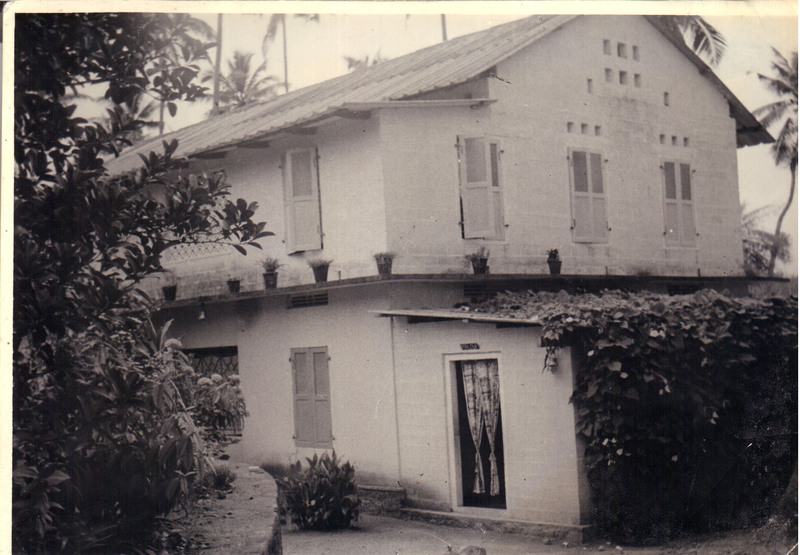 The firstGeneral Chapter was held at Aruvithura in 1975. Sr.Elsina Ampattupothiyil was elected the second Superior General and Sisters Teena Koonthanam, Reena Mookkanthottam, Cicil Catherine Kollamparampil, Alice Scaria Thazhathel, Lizae Poovathoill, Agnet Koramkuzhackal were elected Superiors General in the subsequent General Chapters. The present Superior General is Sr. Agnet Koramkuzhackal. On April 7, 1991 DST was erected as a religious congregation of eparchial right by Mar Joseph Pallikkaparampil the then Bishop of Pala on being authorized by the Sacred Congregation for the Oriental Churches Rome. Since then the congregation has grown in terms of numerical strength as well as in missionary undertakings. 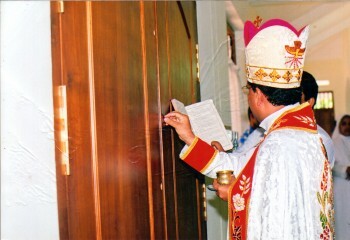 Again taking into consideration the ecclesial identity as well as life and apostolate of DST Major Archbishop Mar Varkey Cardinal Vithayathil granted Major Archiepiscopal status to DST on 03 July 2003. Later on 11 August 2005 DST has erected two Regions namely Santhome Region Pala and St. Thomas Region Ujjain with Sisters Liza Jose and Daya Kottarathil as Regional Superiors. These two Regions are raised to the status of Provinces in the same name on 17 April 2009 with Srs.Claris Thazhathuveettil and Jaya Moonnuthottiyil as the Provincial Superiors. At present DST have 322 professed sisters and 82 candidates in different stages of formation. There are 56 convents spread over 17 dioceses of India and 6 dioceses abroad.